We’re starting to think that we’ll never actually see the kind of hoverboards we’ve been coveting since Back to the Future II came out in 1989. That stings, but Zapata Racing has something to placate us for the time being. 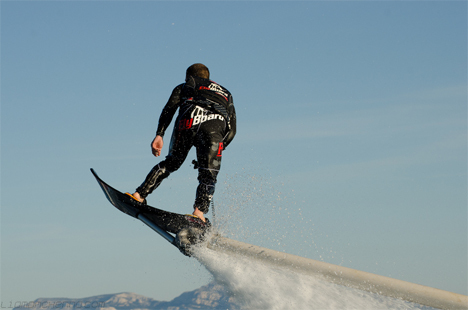 Their Hoverboard lets riders fly above the water on a board that looks like crazy amounts of fun. 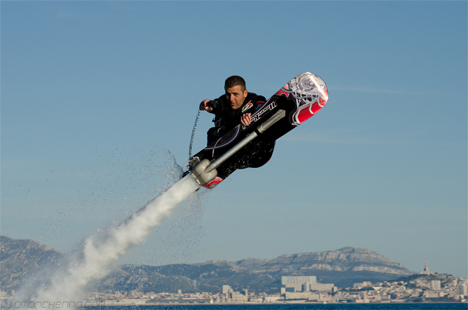 The Zapata Hoverboard is kind of like a wakeboard that sports an 18-meter-long pipe that lets it fly around over the surface of the water. 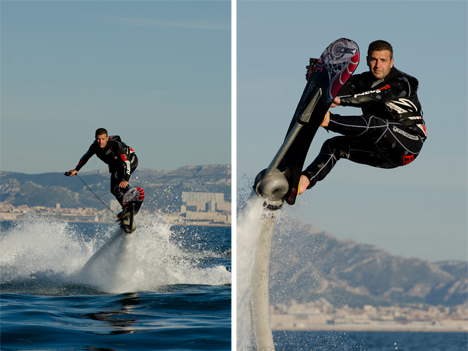 The on-board handheld controls let the rider operate the craft and how high it hovers. 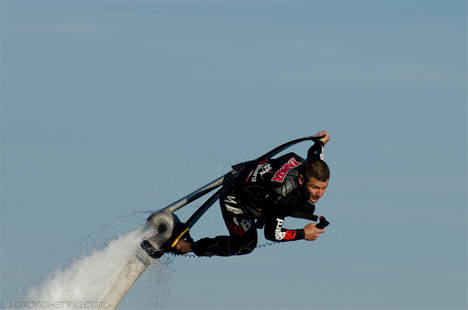 The board has a two-person capacity, so one person can run the controls while the other simply enjoys the ride – or one rider can take control of his or her own ride. 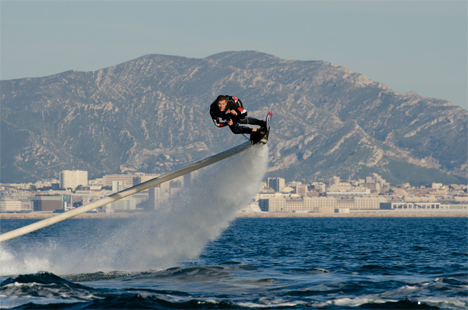 The Hoverboard’s water hose is 18 meters (59 feet) long, allowing the rider a pretty wide range of freedom. 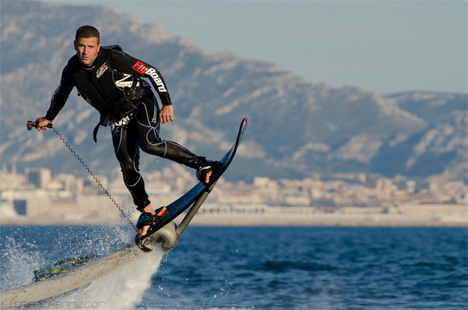 The board can get up to five meters (16 feet) above the water and achieve speeds up to 24 MPH, which sounds like a true thrill ride. 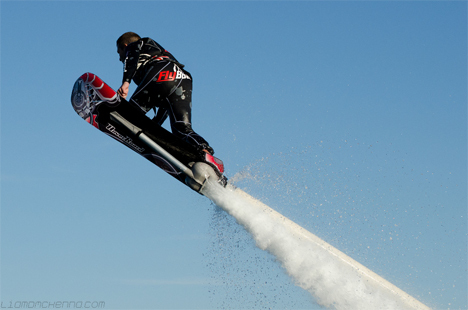 A Jet-Ski engine powers the whole contraption, and twin jets of water shooting out from the bottom of the board keep the ride stable as the rider flies around above the water’s surface. If you happen to have a spare $5850 lying around, you can get your own from Zapata Racing and (after a bit of training) start racing around like a boss on and above the waves. See more in Various Gizmos or under Gadgets. July, 2014.